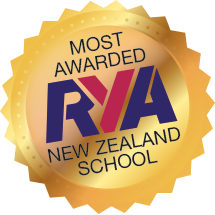 The RYA Day Skipper Course is suitable for aspiring skippers with some yachting experience and basic navigation and sailing skills. Before this course, if you are not sure that your sailing is up to speed, a good way to learn is on a dinghy sailing course. This will teach you to sail around a course and control the boat’s speed. If it is help with navigation that you need, we recommend that you do a Day Skipper shore-based course. It’s important that you have a reasonable knowledge of navigation theory, rules of the road and lights, shapes and sound signals.